According to ABC News, 20,457 pairs of counterfeit Christian Louboutin shoes were confiscated by the U.S. Customs and Border Protection at the Los Angeles/Long Beach seaport. ABC news reports that “…the knock-off shoes were transported in five different shipments on a cargo ship in large boxes from China and had a domestic value of more than $57,000, meaning it cost just less than $3 per pair to make them. 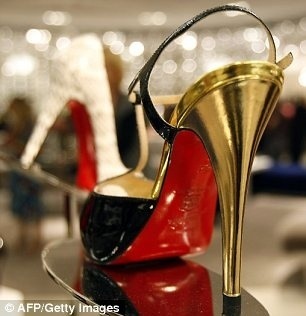 CBP Officials said there were enough of those red soles to add up to a suggested retail value of $18 million, an unbelievable profit. This is crazy! People are making a killing from selling knock-offs at the expense of luxury brands that have worked hard to give themselves a name. If you ask me, I suggest that the counterfeit importers be prosecuted and the knowing buyers of these fake goods should be fined heavily. Tssk! Si c’est pas du luxe, il n’est pas du luxe!